FREE USD10 (worth RM30 ++) vouchers up for grabs! 2. LIKE SIN's "USD 10 SIN Shopping Voucher"
3. LIKE SIN's facebook page. Complete the three steps and your voucher will appear. 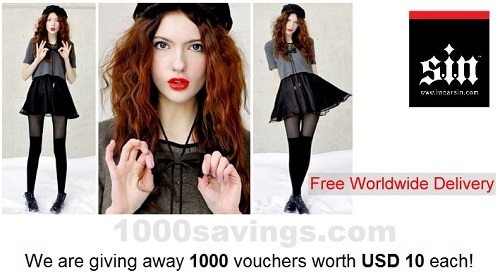 Visit SIN's USD10 vouchers giveaway site now!